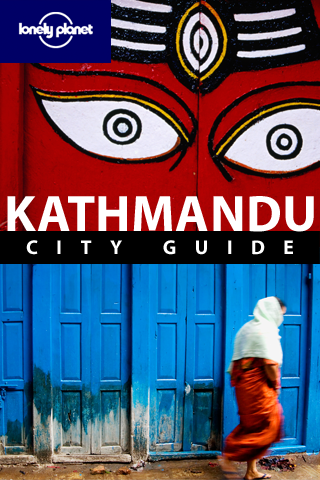 Discover the best places to see, shop, eat, drink and sleep in Nepal’s greatest city with Lonely Planet’s Kathmandu City Guide on your iPhone. 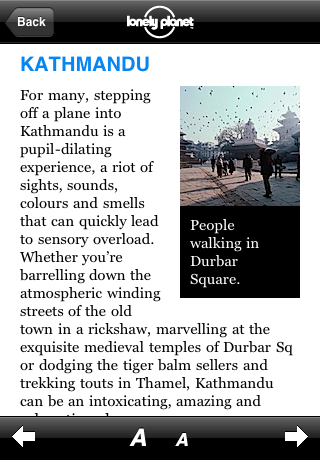 Whether you’re barrelling down the atmospheric winding streets of the old town in a rickshaw, marvelling at the exquisite medieval temples of Durbar Sq or dodging the tiger balm sellers and trekking touts in Thamel, Kathmandu can be an intoxicating, amazing and exhausting place – it’s all at your fingertips! Our location-aware technology gives you hundreds of handy reviews, striking images and interactive maps – all searchable, portable and easily personalised. 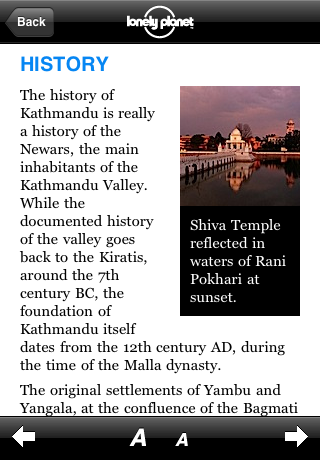 Browse guidebook chapters, discover neighbourhoods & plan your itinerary. Avid traveler? 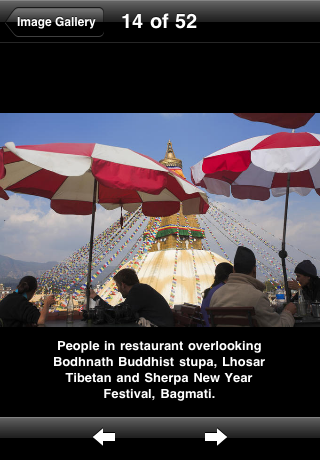 Check out our Lonely Planet Travel Guides App, which offers all our guides and phrasebooks in-app at a discount. For a limited time, with the San Francisco City Guide and Mexican Spanish phrasebook included as a free bonus!